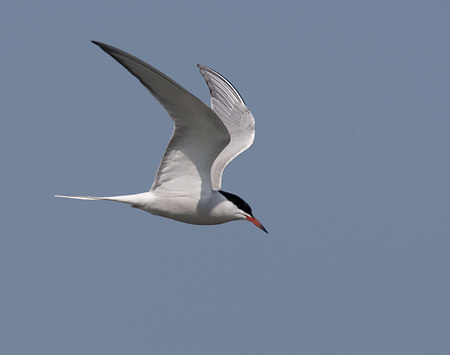 Spring?…it’s been more like Summer…and the Terns are back! « March 2011 – March Madness? What seems like the hottest April for years and the driest, it’s been an up and down month for images. 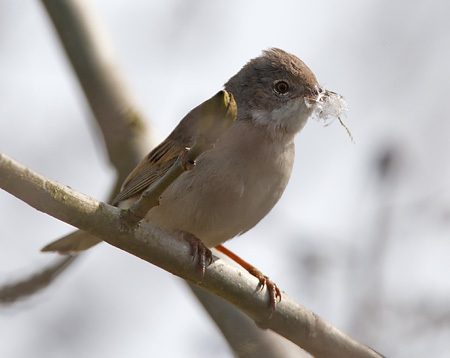 The birds were fine, but it has seemed difficult to get decent shots. The mornings [when I’ve not been stuck at work!] have generally been cold and often foggy. 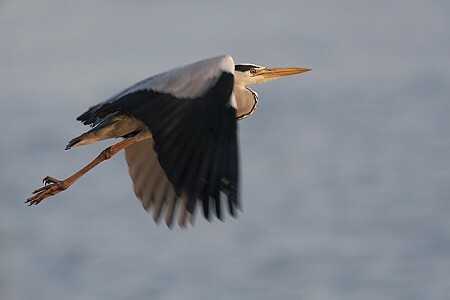 The sun has then suddenly burst through at 10.00am with its full heat and brightness – there have been few “perfect” dawns. Anyway enough moans…down to business. 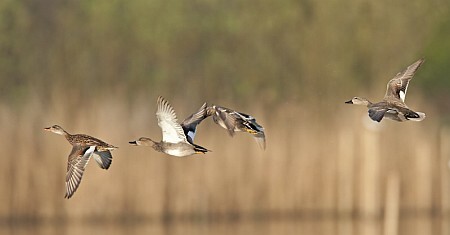 April 2011 – does it seem 3 months of the year are already behind us and Easter is just round the corner? Oh and let’s not forget the Royal Wedding – but how could we? 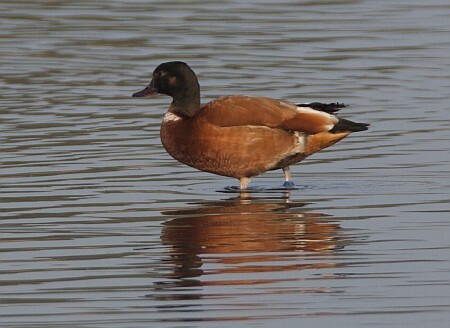 April started off with an oddity – a Ruddy Shelduck looking bird, but was it an Australian Shelduck hybrid? Either way it was a plastic bird, from a nearby collection, but worthy of note all the same. 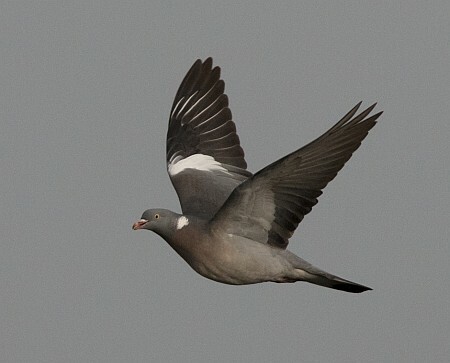 Lots of flying birds and the chance to bag a wood Pigeon – yes, bag a Wood Pigeon. 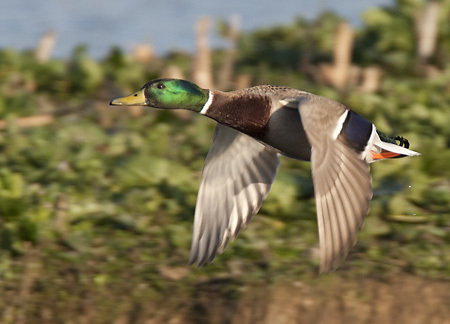 Not as easy to capture in flight as one might think – that’s why they’re racing birds! 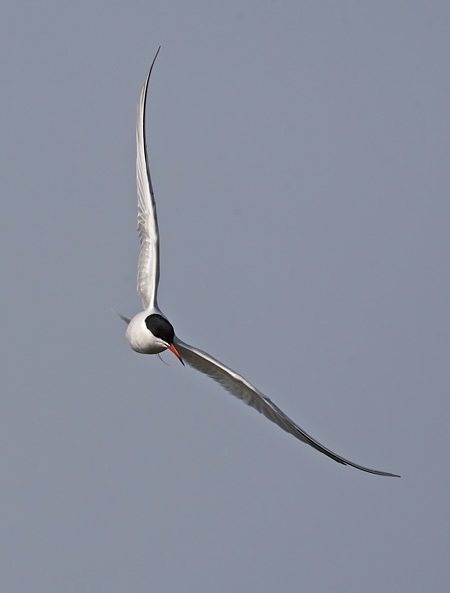 Any, the next day hotted up a bit – maybe due to the wind getting up a bit – lots of flighty stuff. 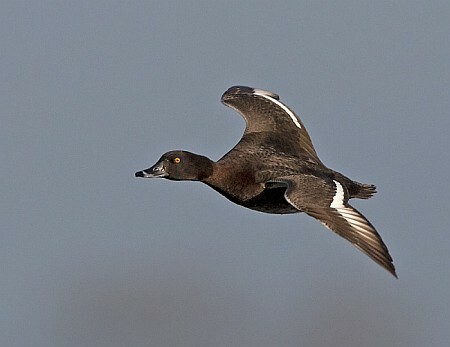 This Tufted duck speed past at what seemed 100 mph. 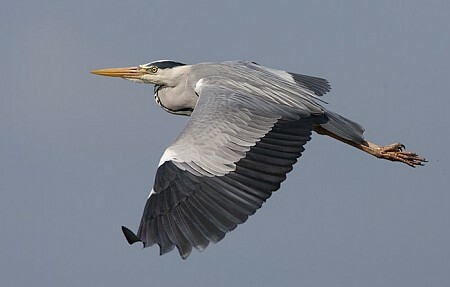 This Grey Heron cruised past early morning. 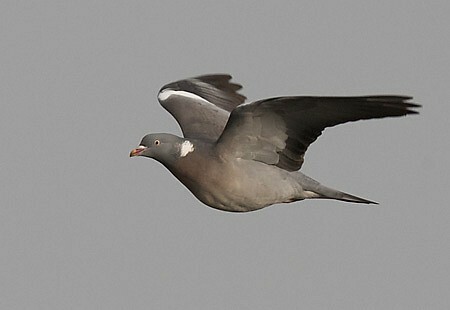 Note the wing blur, but crisp head. Blur caused by lack of available shutter speed v.early morning. 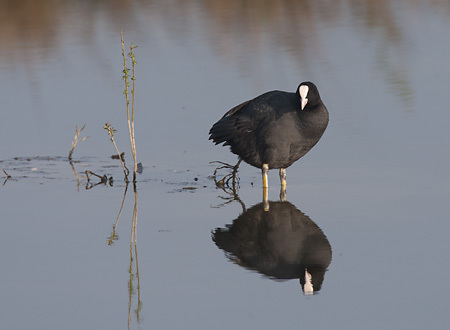 Despite the breeding season being under way, the Coots just seem to keep on fighting. Mind you this is good, as it puts them into the air for some BIF chances. 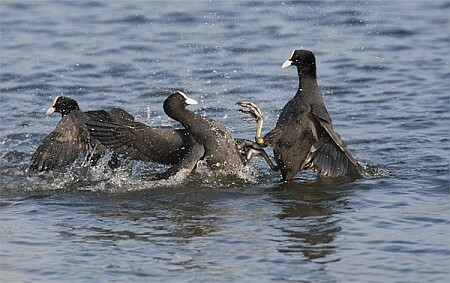 Couldn’t resist a fighting shot. 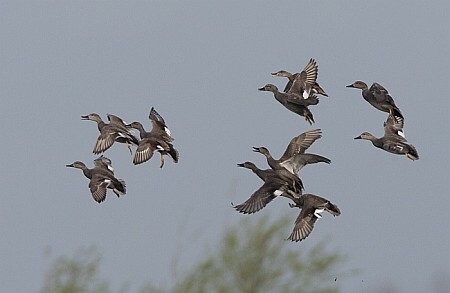 The resident flock of Gadwall are still as noisy and flighty as ever- ever-seemingly in the air, arguing about something or other! 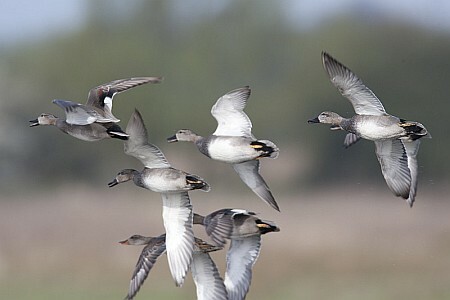 These are just beautiful ducks, with the most extraordinary plumage up close. 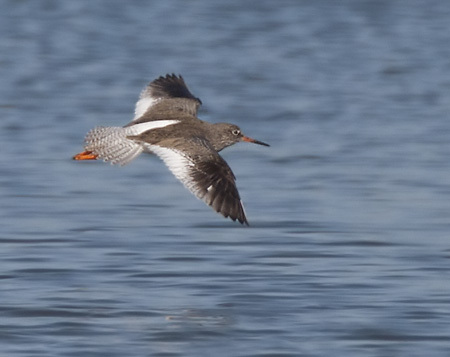 If you look closely you can see the chestnut wing bar, only usually exposed in flight, unless they are preening. 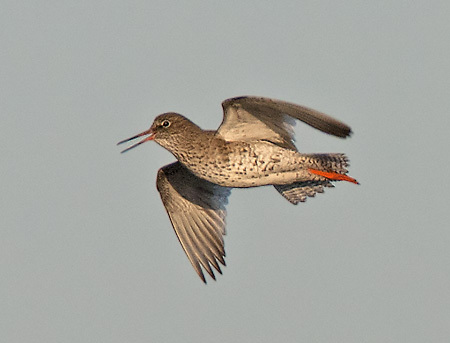 The Redshank pair have been getting frisky, causing the male to go into display mode. 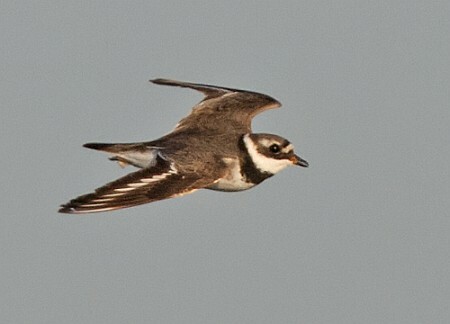 Also, a rare chance to catch a Ringed Plover in flight. 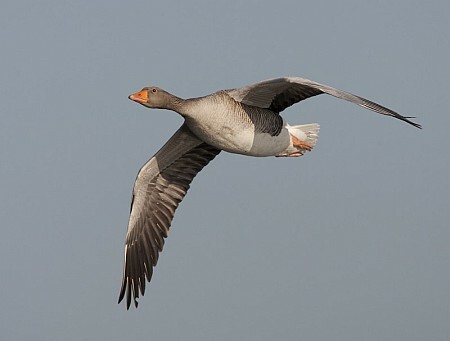 Most of the Greylag Geese are over at Swarkestone, but this one popped in for half an hour. 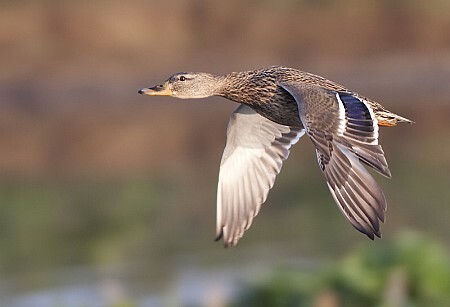 There are always good flocks of Mallard at Willington and this one was in flight and calling to the main group ahead. 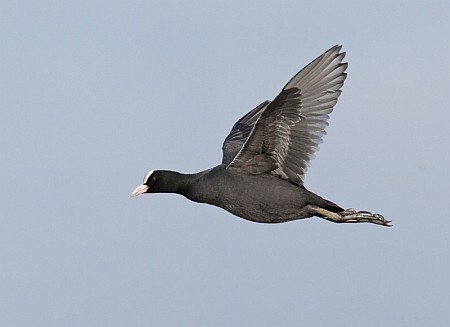 This one cruised through the islands. 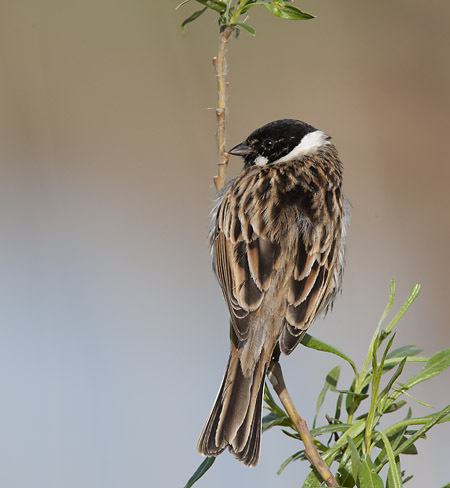 In the reed bed, things were continuing, with both Sedge and Reed Warbler and also Reed Bunting, busy with nest building work. 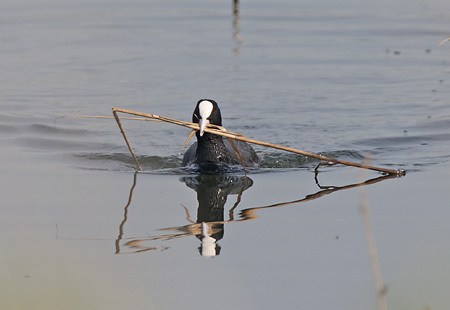 As I said, the Coots are in fact nest-building, but still fighting. I think it’s because of an inbalance in the sexes, making those spare [last year?] 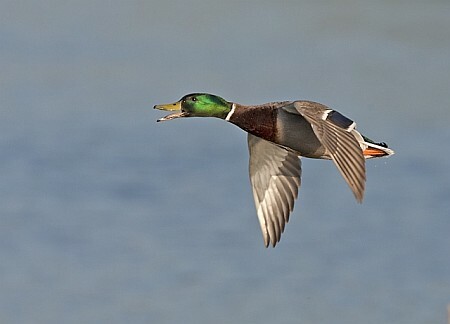 males stick around and fight for females already taken. 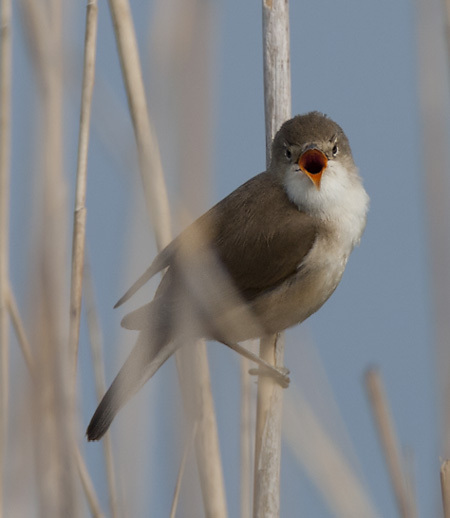 Nobody said birds were that intelligent! 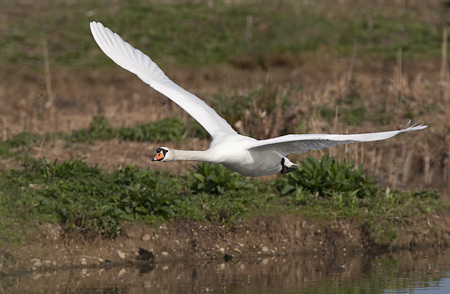 The resident Cob Mute Swan we have met in earlier Blogs has yet again been exhausting himself, defending his territory, from local young males. 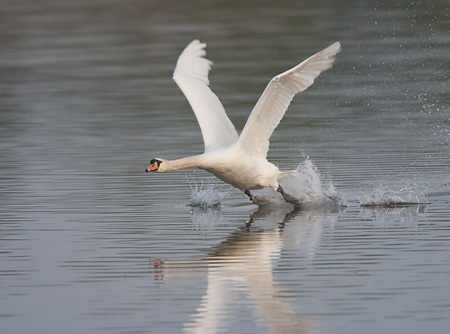 He just keeps launching himself at them and pursues them in flight. 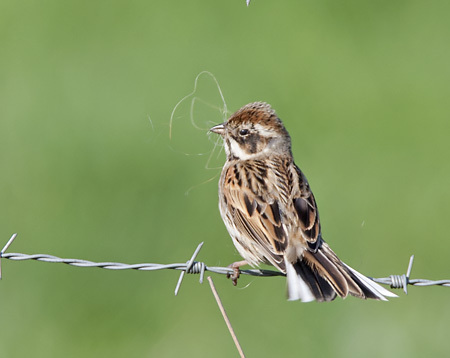 Nest-building continues at the top of the lane for the other visiting warblers, Whitethroat and Lesser Whitethroat and also the resident Reed Buntings. 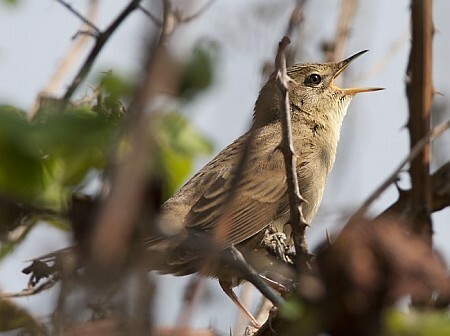 The Grasshopper Warblers [gropper] continued to reel from the bushes, occasionally coming out to show. 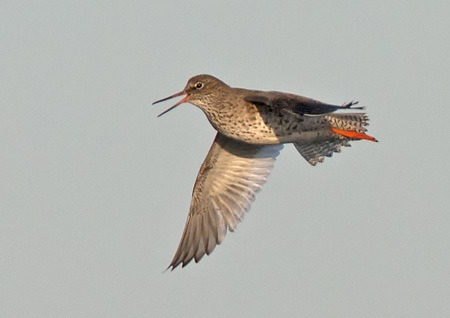 None were as showy as the one at Attenborough NWT, but not bad. 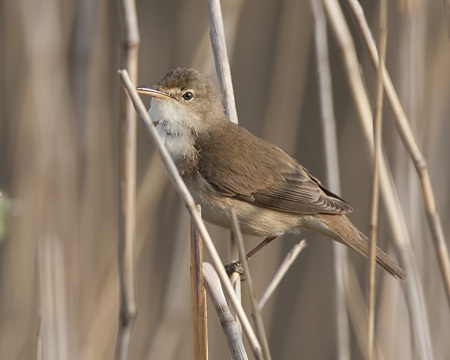 Continuing the theme of bird calls/songs, this Reed Warbler was very vocal from the reeds. 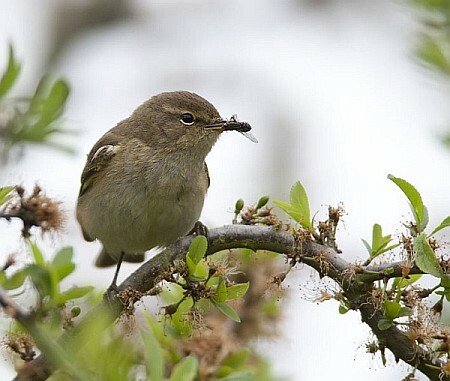 I think this Chiff chaff was feeding young, even this early. 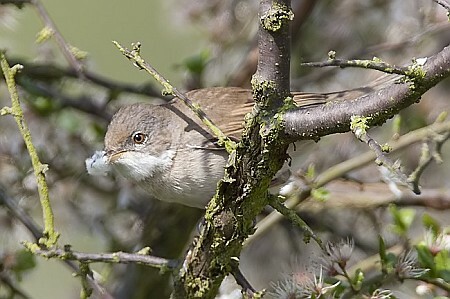 This Lesser Whitethroat was staking his territory from the top of this dead tree. 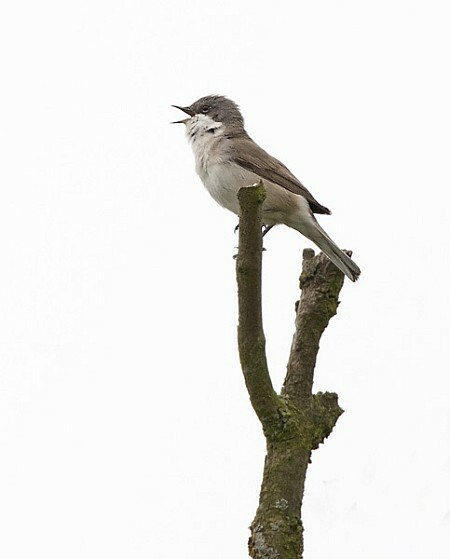 This Garden Warbler had been singing, but stopped abruptly as I approached [I must be more quiet next time!]. 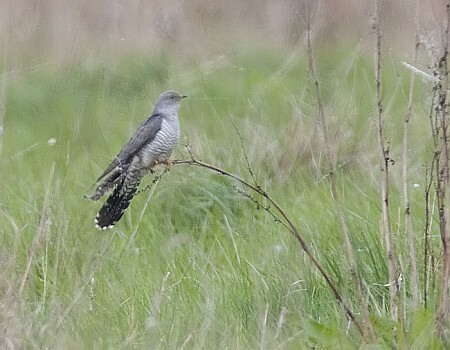 What a treat – not only did I hear the Cuckoo, but I also managed a distant shot of it too! 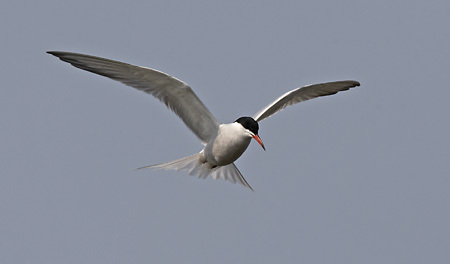 Oh, did I mention, the Terns were back. 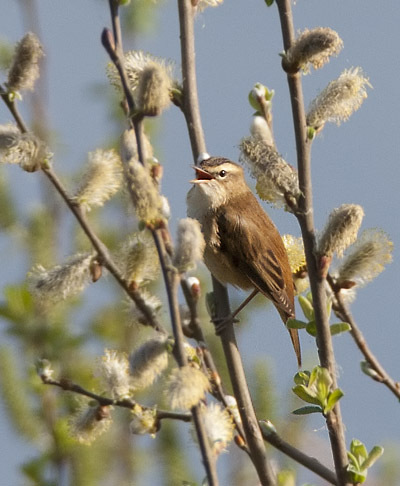 Commons are back and there has also been a good fly-through of migrant Arctic Terns at Willington, although the Arctics always remain distant as they pass through..
And before I knew it April was out and we were into May – that’s another blog of course………….. 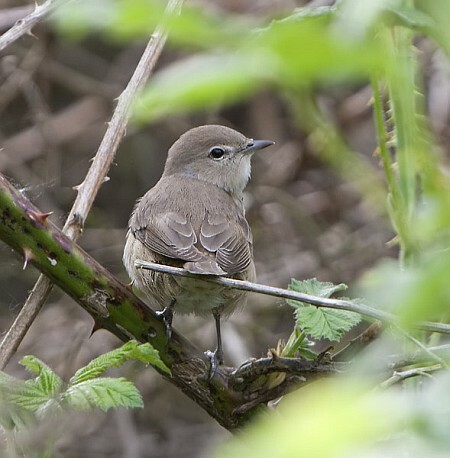 This entry was posted in 2011, Derbyshire, DWT, Visits, Willington GP, Year and tagged arctic tern, chiffchaff, common tern, cuckoo, gadwall, garden warber, grasshopper warbler, Grey Heron, greylag, gropper, lesser whitethroat, mallard, redshank, reed bunting, reed warbler, reedbed, ringed plover, sedge warbler, whitethroat, wood pigeon.